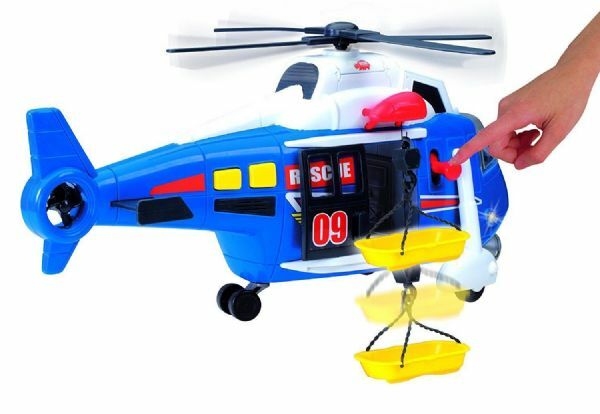 Dickie Toys Free Wheel Helicopter with Light and sounds. 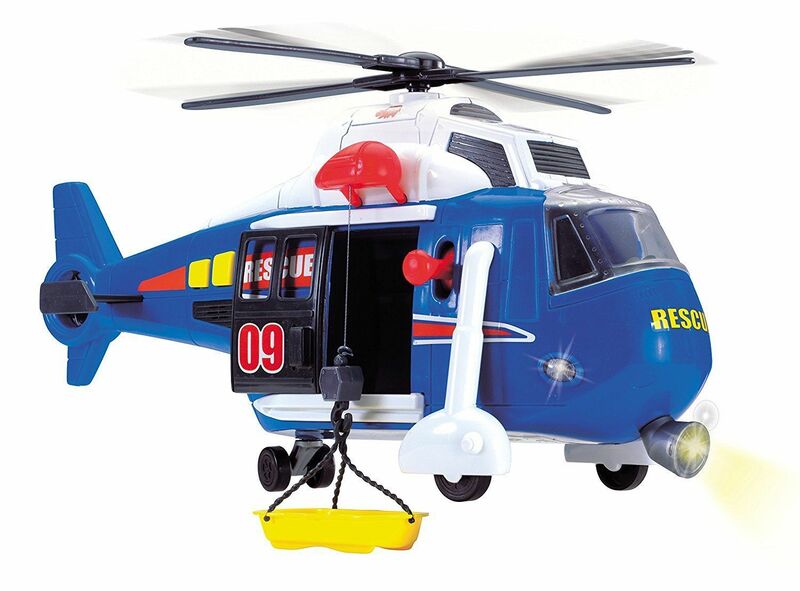 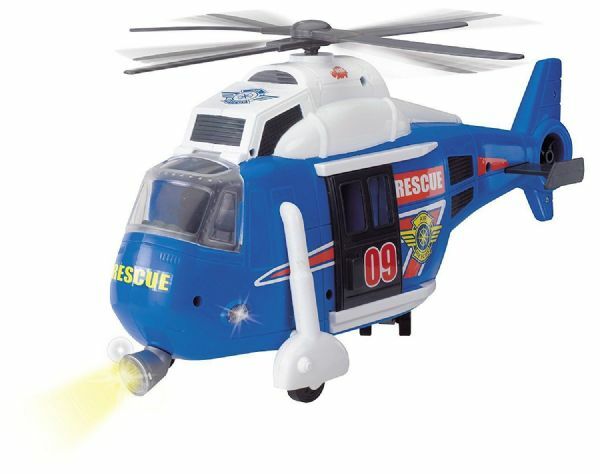 Home / Vehicles / Dickie Toys Free Wheel Helicopter with Light and sounds. 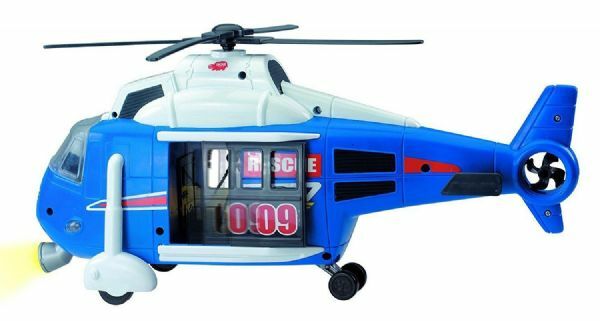 This Large Helicopter prepares for action straight away, with its spinning rotor blades, its always at the ready for air and sea rescues. 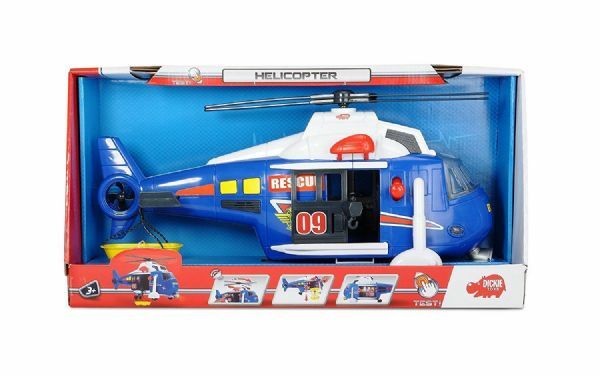 Featuring light and sound effects, the helicopter "flies" over land and sea.